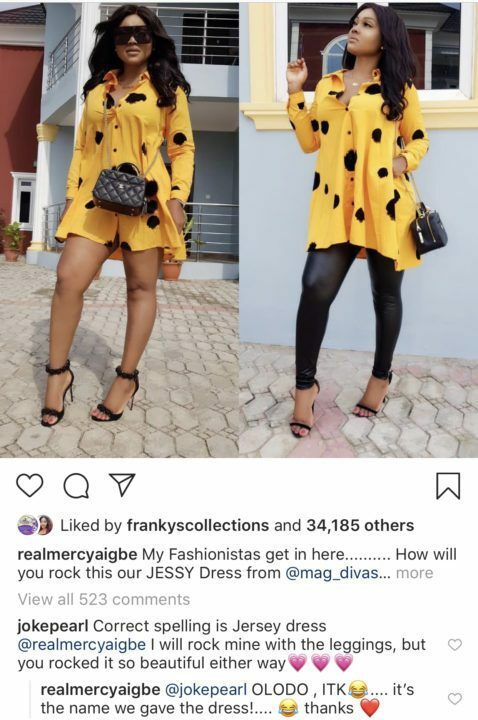 Mercy Aigbe came down hard on a female fan who tried to correct her spelling on Instagram . Wetin concern me for wetin no concern me?? ?